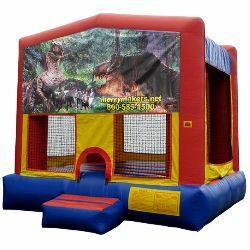 The Jurassic Park bounce house features a T-Rex and raptors as the main characters. A million years in the making to be the hit of your party. Note: This licensed theme is also available in a jump & slide combo.